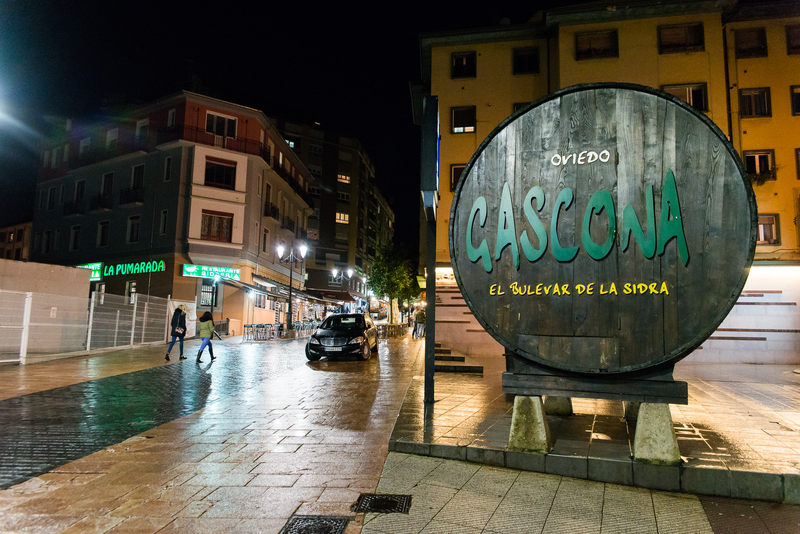 Students enjoying some coffee while studying at a local cafe. 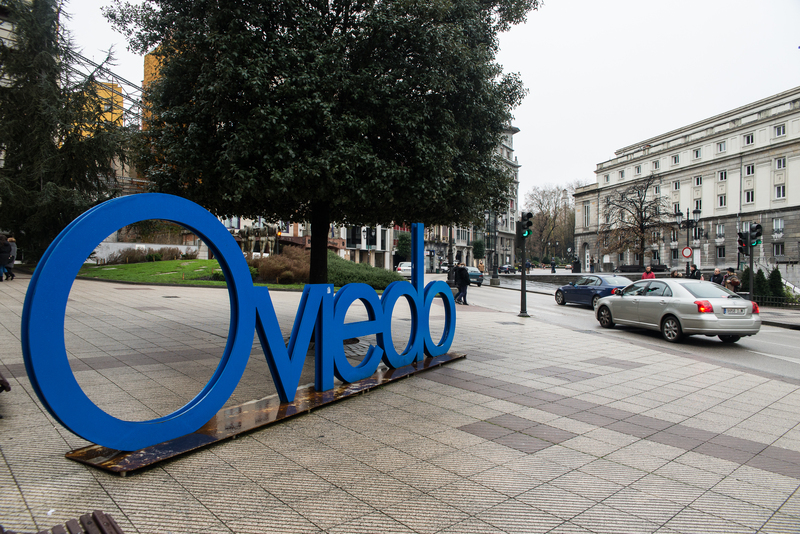 The Oviedo city welcome sign. 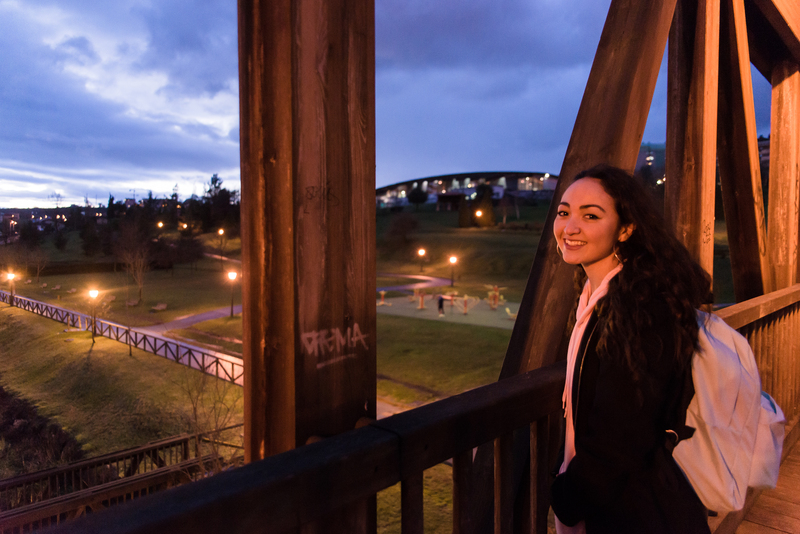 Junior Nikki poses on a bridge by Oviedo’s Parque de Invierno. 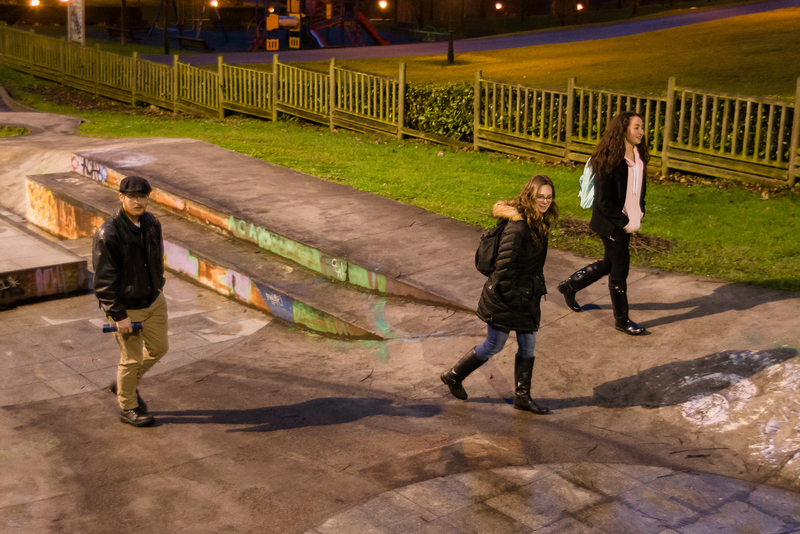 Students explore the skatepark by Oviedo’s Parque de Invierno. Junior Rachel striking a funny pose with a tree. 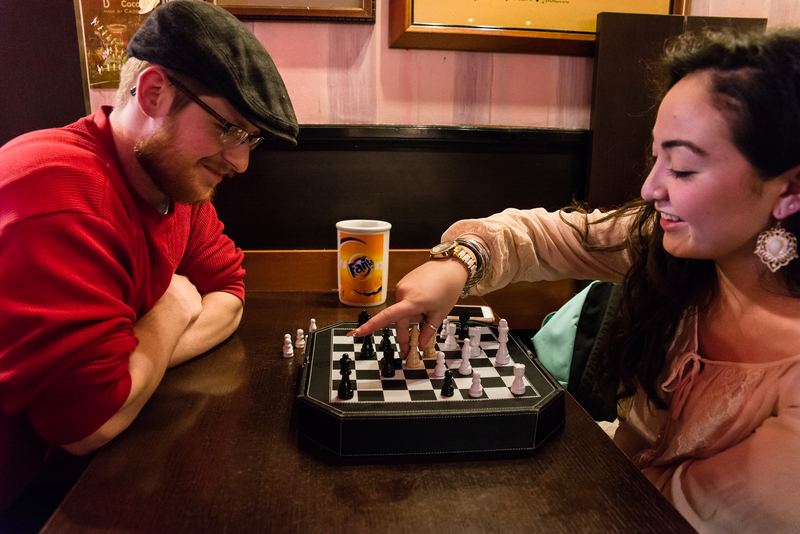 Students playing chess at a local bar. 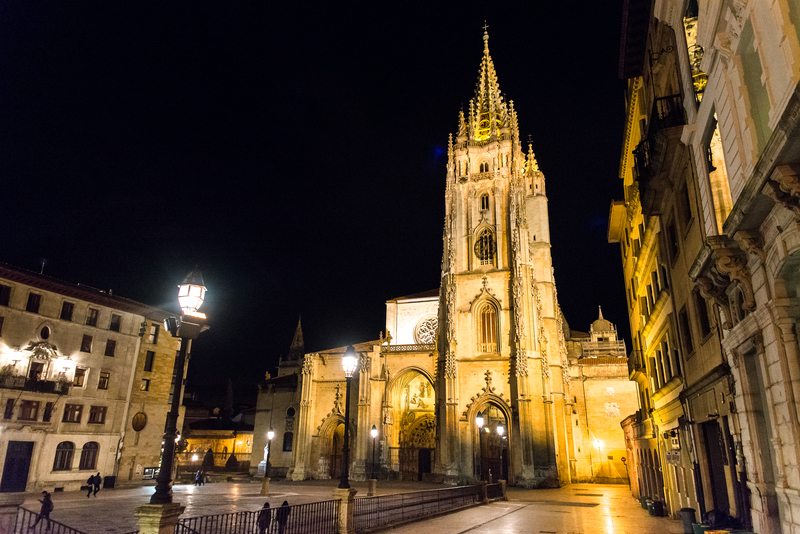 Oviedo’s Catedral de San Salvador at night. 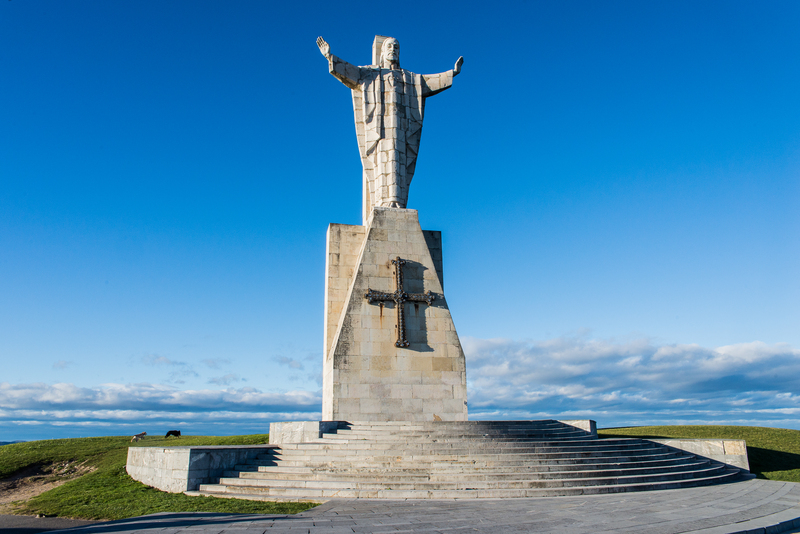 Oviedo’s Monumento al Sagrado Corazón de Jesús. 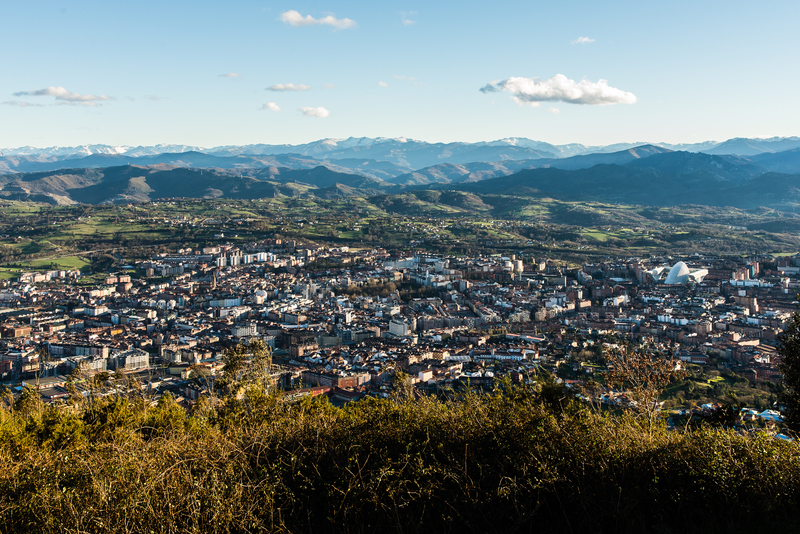 A landscape view of Oviedo and the mountains of Asturias.